Information and Communication Technology has applications both as a subject and a resource or tool for learning across the whole curriculum. Each classroom in school has access to laptops and iPads. 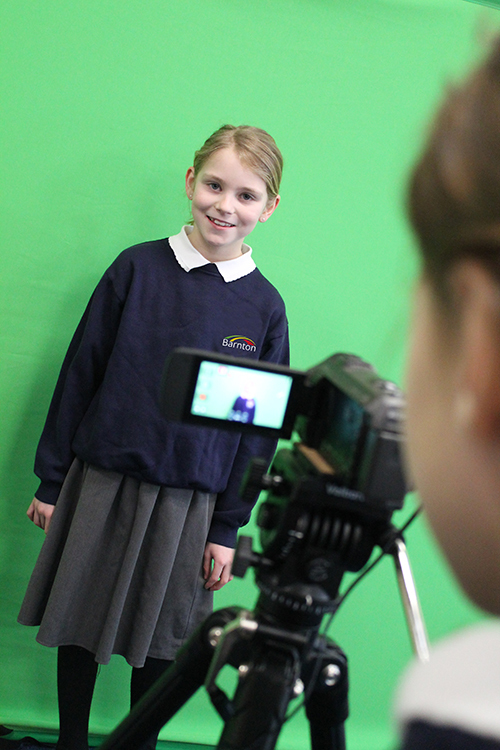 This enables teachers and children to use ICT across the whole curriculum, five days a week. Maths activities and games including Mathletics can be used in class sessions as well as at home. Children may be using a Museum website to research in History. Word processing is excellent for teaching drafting and redrafting as children can copy and paste rather than write the whole thing out again. Each class also has an interactive projector, visualiser, and sound system. Information and Communication Technology has its own skills and subject matter, these are split into: Computational Thinking, Information Technology, Digital Literacy and eSafety. 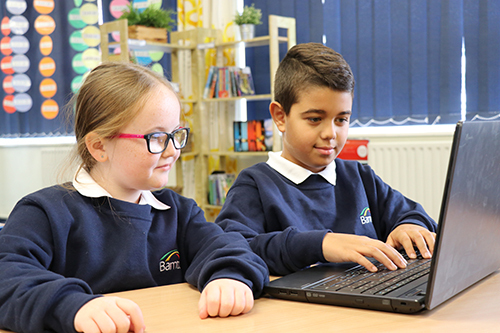 At Barnton Community Nursery & Primary School we have created a project-based Computing scheme of work that enables children to apply their knowledge from all aspects of the curriculum, whilst developing the skills necessary to unlock the potential of technology. Within our bespoke curriculum, children encounter databases, making and testing formulas to organise data in a variety of ways. They develop their computational thinking skills through using different forms of programming to solve problems, decomposing them into small parts and focusing on the attention to small details and very specific commands they need to become competent users and programmers. Other ICT equipment such as data loggers link particularly to the Science and Mathematics curriculum.